In Lebanon, electricity outages last up to 18 hours a day and the country’s infrastructure has been faltering especially with the influx of more than a million Syrian Refugees. In Wadi Khaled, where Mercy-USA has been supporting these refugees, this power shortage has had a very serious impact on the safety and security of the most vulnerable population. 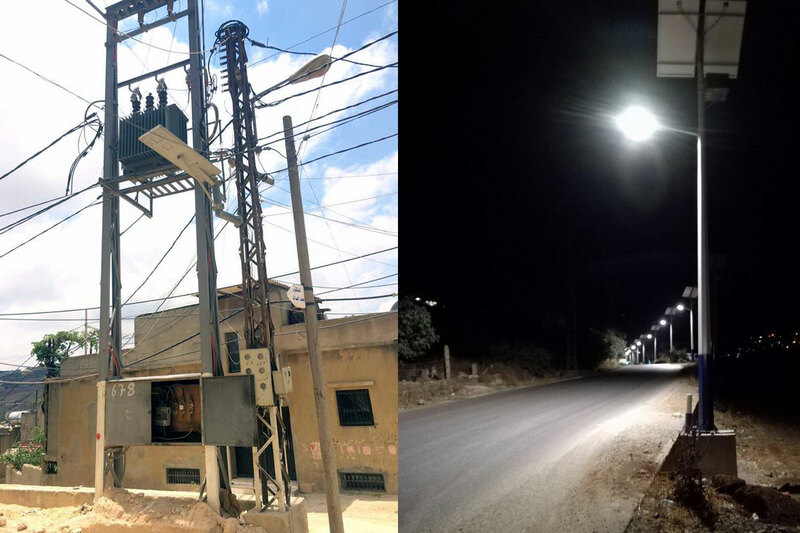 With a generous grant from the United Nations Office for the Coordination of Humanitarian Affairs (UNOCHA), Mercy-USA completed an infrastructure project that included the installation of 9 electric substations, 50 solar-powered streetlights, electric cables and 250 streetlight bulbs. We also rehabilitated 5 more substations in various villages surrounding Wadi Khaled. High efficient LED light bulbs were also distributed to over 5,000 beneficiaries. This project has not only helped to mitigate the unusually steep energy costs in Lebanon, but is also helping protect the environment by reducing the region’s carbon footprint.